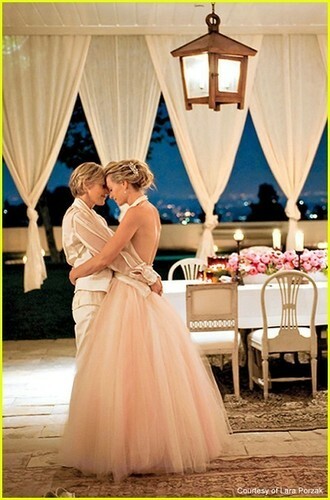 ellen & portia. . Wallpaper and background images in the Ellen DeGeneres club tagged: ellen degeneres portia de rossi. This Ellen DeGeneres photo might contain 명예의 신부 들러리, 하녀, 신부 들러리, 하녀의 하녀, 들러리, 겉옷, 가운, 신부 드레스, 웨딩 드레스, 신부 가운, and 웨딩 가운.